CME Group’s flash data for JPY futures markets showed open interest decreased by almost 800 contracts on Monday, while volume extended the choppy performance and dropped by around 54.4K contracts. USD/JPY is up for another session after testing lows in the 109.70 region. 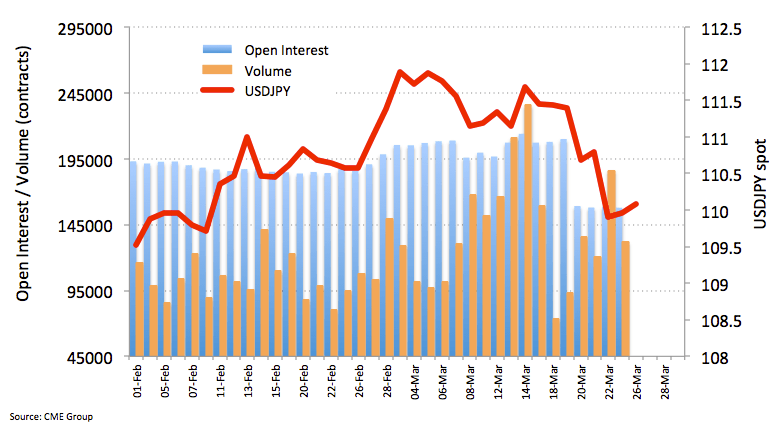 Declining open interest and volume around the Japanese safe haven could spark another bout of buying interest and send spot lower in the short-term horizon.